*note: Due to Pro7ect declining his seed into the Ro24, one additional player was added based on the points ranking. **note: Due to AlfiO and dOTY dropping out of TLS2, they get replaced by next two players on the points ranking, Cryoc and Assault. ***note: Due to Marwin and NeMu dropping out of TLS2, they get replaced by next two players on the points ranking, andreyy and Malkiyah. 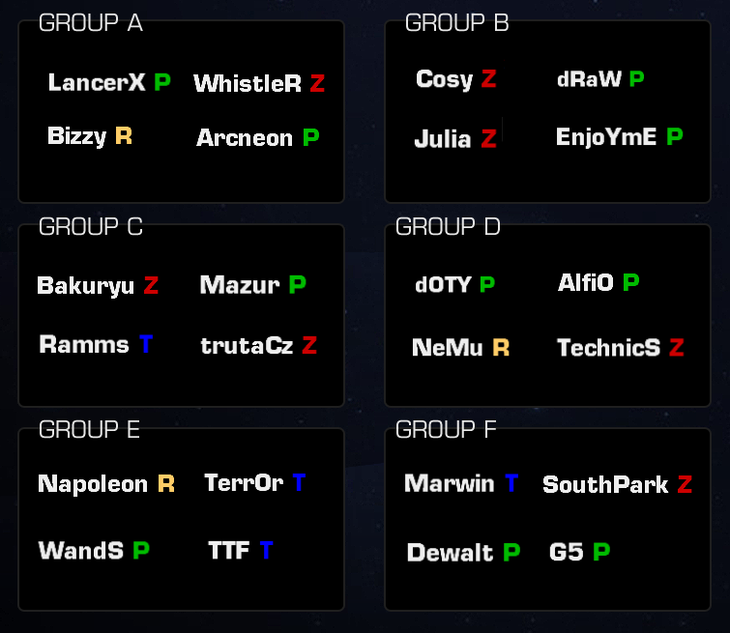 Group selection for TLS Ro24 will be done today live on stream, at 19:00 GMT (+00:00)! Y u know football? u killing sport. i think it will be TvT on hunters. both players have to take different sides on a conflicting issue, and have a debate in-game to try and convince the other with well-constructed arguments using statistics and reliable, trusted sources to back up their claims, while setting up tank lines. game win is worth 1 points, debate win is worth 2, whoever has more points after bo5 wins. Showmatch got changed to Technics vs NeMu due to dRaW DODGING. C and D groups are insane..
It’s cool to cry, don’t ever question your strength . is terror playing zvp? since in the match against wands it says that he plays zerg. missed showmatch, will be vods avilable? Nope, that was an error with TLPD. Fixed now! go go Mazur, Trutacz, Julia and SouthPark !!!!!!!!!!!! !